Sundry goods designer, illustrator, formerly employed at a sundry goods manufacturer, and now working freelance. "What is deko? We thought we knew what it meant, but when we started discussing our definitions, we realized we weren't really sure! That really threw us. 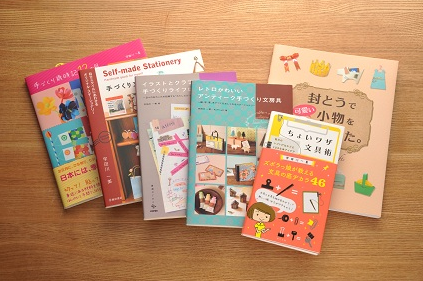 In this feature we introduce some of the sentiments that are expressed in different kinds of deko. 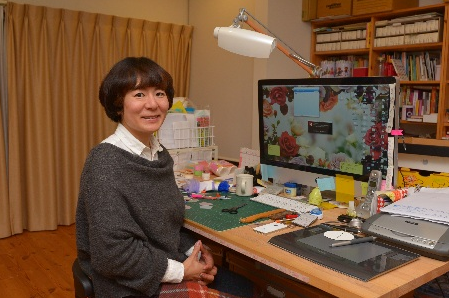 The word "deko" is often heard to describe people who decorate their cell phones with glittery stones, charms, and various hanging decorations--known as "deko-den" (decorated denwa), decorate their fingernails or toenails with 3D nail art, or wear other colorful decorations. 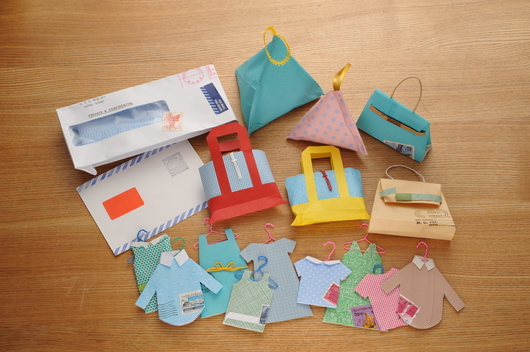 Udagawa makes charming sundry goods using envelopes and other materials. 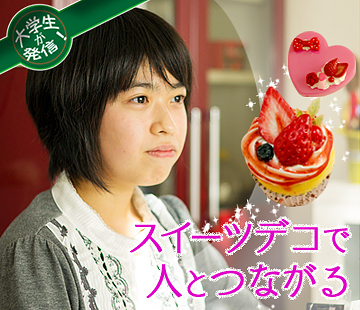 They are different from the general image of "deko," but the goods she makes have much in common with "deko" decoration. We asked her what she is thinking of as she designs her works. How would you describe "deko"? One image you get from when you hear the word "deko" is decorations that glitter and shine--the kind that makes you happy just to have it in your possession. 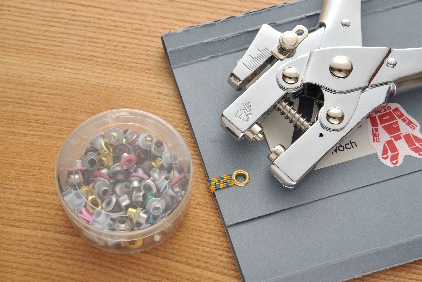 What I do, though, is attach pockets made of envelopes to commercially made datebooks or diaries or make little booklets to attach to notebooks with an elastic band, and such, so my creations aren't glittery or glamorous. But I might make a cutout of an apple or a bird to decorate a simple memo book or attach a paper decoration to a simple stationery item--I want to make such things pretty and a delight to have in my hand. That way, what I'm doing is the same as "deko." I suppose you could say that "deko" is really adding something that is unnecessary. I don't add such things just to make myself happy but to bring such happiness to others as well. When I send a letter, I try to be creative, imagining all the while the face of the recipient showing surprise or delight at what I've sent. 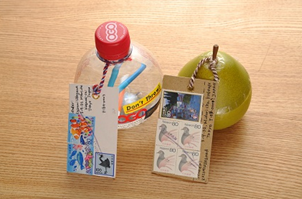 One letter I sent in a round plastic bottle to a friend overseas. It wouldn't go into the letter slot, so the mailman pressed her doorbell and delivered it directly to her, she said. It was raining that day, she said, and the sight of the water droplets on the bottle made her imagine the letter floating all the way across the ocean. I've sent off all sorts of things--using a furoshiki wrapping cloth or a pear-shaped plastic container place of an envelope. When I write some kind of message to someone, I like to come up with creative ways, which can be really very simple, to let the other person know at a glance what I am trying to communicate. For example, to a friend who has a black cat, I might make a card cut out of black paper in the shape of a cat. The 10 or 20 minutes you spend in making something to send to someone, I figure, is time you are devoting to that person--it is time you are connected to that person. What you make is unique in the whole world, a kind of package of your own time and feeling. The little extra trouble you take to make something special will make the recipient happy. It seems to me that deko is that "unnecessary something" that adds to communication. I often save boxes that have been emptied of their contents, thinking they may be useful. One kind of box that's caught my fancy lately are the "Kiri" cream cheese boxes. They consist of a drawer-like tray in an outer sleeve and the drawer-part is lined with really cute patterned paper. I used these to organize small things or cover them with wrapping paper for gifts to friends. I can't throw away used envelopes either. I like the patterns you often find on the inside of envelopes. I sometimes have friends who live abroad send me used envelopes with nice lining paper. There are some patterns we don't have in envelopes in Japan--like one type from Hong Kong I received that had numbers printed on the back inside. The envelope, you know, is the simplest of items--it can't get much more complicated and not much simpler--and it carries its contents wherever it goes. When I go to visit my friends, they tell me they've saved pretty ribbons for me, and they've gotten into the habit of putting aside things that are kind of cute or pretty, instead of throwing them away, saying "Udagawa-san will like this," so I receive a constant stream of little things for my craft. I've earned a reputation for making money from things most people throw away, but all I am doing is transforming things I just can't throw away into something attractive or useful. 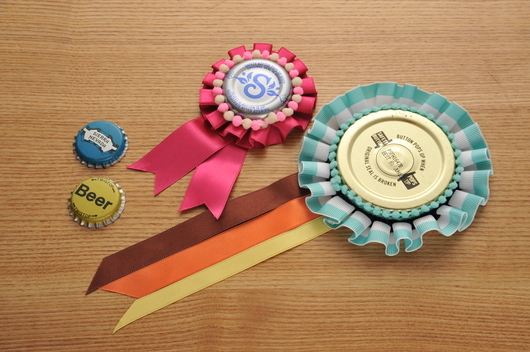 One of my trial projects lately is making badges out of bottle caps [see photo]. When I find certain things like this, I can't help wanting to transform them into something pretty or cute. Come to think of it, since I was little, I was never happy to use readymade things just the way they are. I attached an envelope to the communication notebook (renraku-cho) that my teacher sent home to my parents, and organized in it the flyers the teacher handed out. I had always loved drawing pictures and painting pictures, so I took every opportunity to add some decoration here and there. I always felt somehow unwilling to be content with mass-produced goods just as they were. 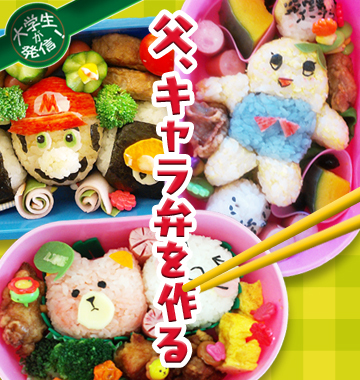 And that wasn't just for stationery goods. I'd attach something to my shoes or change the shoestrings. I'd look for a watchband at a different store and then add some decoration of my own. I had a kind of natural impulse to be unsatisfied with things until I've put my own stamp on them. So I'm always feeling as if I'm wearing shoes that just don't fit my feet . . .You can just go on living as you are, but I keep thinking how I could make life more convenient and pleasant. When I go to buy letter writing paper or a datebook, I don't really find what I want, so I end up making them myself, using materials I've bought or things I have at home. Once I've made something I realize that it is just as I wanted it to be. When I'm making something, I can visualize the design it will become. Udagawa's first work. She continues to make them in endless variations, using different kinds of bands, for example. After graduating from high school, I went to art school and majored in visual communication design. Most people who study such things go into advertising, making television commercials or posters and so on, but I thought I wanted to make products like pocket notebooks or letter sets, so I found a job in a sundry goods manufacturer. I liked the idea of making something that people would keep in their work bag and would use all the time as part of their daily lives until it was completely worn out. I have made many things so far, but I never thought of such a thing as holding an exhibition of my work. I really like what you might call things created by anonymous design--things that you do not know who made or who manufactured them, but that are used as part of your life. In my books and magazine articles and workshops, I try to suggest ways of making things that anyone can master to a fairly good level of finish. 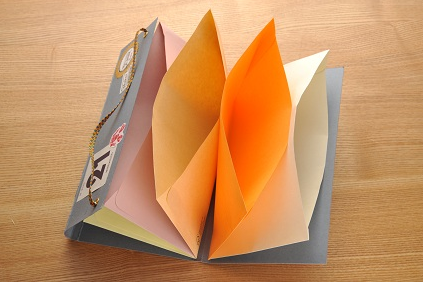 I recently put out a book about how to make various stationery items out of used envelopes, and a friend told me how her daughter announced "I want to make these things!" and promptly put the book by her pillow. My friend said to me, "Just think of how your book is making people happy somewhere!" I can't tell you how happy that made me feel. Two years ago when I held a workshop in May, many women office workers participated. We made large files and at the end I asked them to tell us what image they had in mind as they made them. 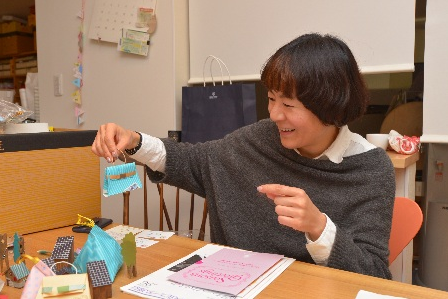 One participant said, "My work at the office is very difficult, but today was really enjoyable. 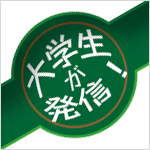 With this file pack full of the happy enjoyment of this workshop, I believe I can work hard at the office tomorrow." That made me so happy I wept! I would be really happy if people who come to my workshops or who make things using my books find that their lives are happier afterwards than they were before. The things you make yourself have that kind of impact on you. 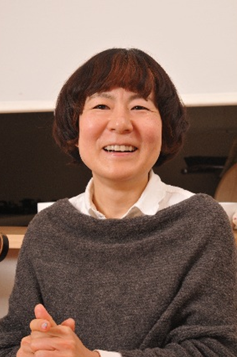 Among the articles Udagawa often uses are gromets and elastic bands. Long-bore and colored gromets are not sold in Japan so she buys them overseas.